October is Breast Cancer Awareness. My sister is a 12 year survivor and my mom was a 3 year survivor when she passed from heart failure, both are my Hero’s! 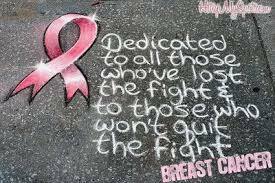 Please share and remember to get your mammograms yearly!